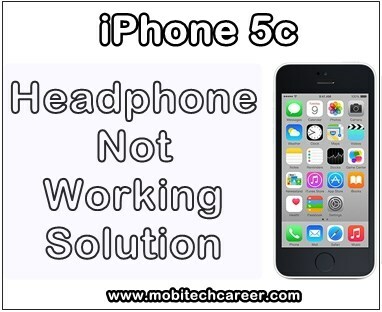 Apple iPhone 5c Headphone Not Working Problems - How to Fix It? Phone Headphone: Phone me headphone connect karne ke bad speaker or mic working karna band kar dete hai kyonki Headphone MIC or Speaker dono ka karya karta hai. Phone headphone ke work ko CPU dwara control kiya jata hai. Headphone call during time MIC or Speaker dono ka work krta hai. is Phone me headphone ki faults kya aati hai aaiye jante hai. Aaiye sikhte hai headphone faults ko kaise repair kare ? 1. Phone me headphone setting check kare or dekhe headphone working kar raha hai ya nahi. 2. Phone me headphone 4-5 bar sahi lagakar dekhe or Phir bhi work nahi kar raha hai to headphone ko change kare or fault check kare. 3. Fault solve na hone par ab phone se battery, sim or memory card remove kare or phone ke screw open karte huye disassemble kare. 4. Headphone connector or jack ko clean or scratch kare. Faults solve na hone par next steps follow kare. 5. Phone ke headphone connector ko change kare. Faults solution na hone par PCB par headphone section track or parts ko check kare. Track or part connection broken huya hai to jumpar banaye. 6. Headphone IC ko Heat, Reball or Change kare or ab faults check kare ki solve hui hai ki nahi. 7. Headphone IC se faults solve na ho to Audio IC/Power IC (UEM IC) ko heat, reball or change kare. 8. Headphone Problems Solution na hone par CPU ko heat, reball or change kare. Notes: Headphone not working faults solution ke liye step se step tips follow kare. 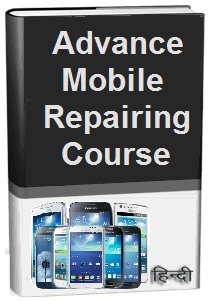 Tags: mobile, cell phone, smartphone, iphone repair, how to, fix, repair, solve, Apple iPhone 5C, headphone, speaker, mic, during call, sound, not, working, problems, solution, guide, tips, in hindi, mobitechcareer, in mobile repairing.